Utter the 3 dirty words "Human Growth Hormone" or "HGH" and one of two things will happen. Either you'll get a certain Major League Ballplayers to cup their hand to their ear and say..."It's my cousin's not mine!" OR you'll get the response "How could you talk about that drug?!?" Well as everyone that knows me can attest, I've never touched a drug in my entire life (recreational or performance enhancing) and I'm firmly against the use of any illegal or unsafe means for getting "ahead" either for myself or my loyal members. That said, human growth hormone is NOT a drug. In fact, it's a naturally occurring hormone in your body that is responsible for well....growth! Muscle growth. How does it do this? Three different ways actually. The first is via it's ability to bind to fat cells and metabolize them. 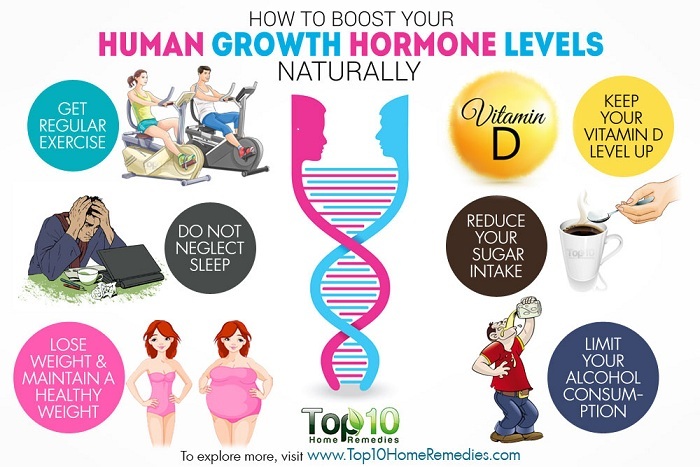 HGH is a hormone produced in the pituitary gland in the brain and it is released throughout the day at various intervals and in varying degrees. Certain workouts can stimulate a burst of growth hormone release based on the actual exercises performed. More on that in a minute. Once released this hormone, as I said, can actually seek out and bond to the receptors on fat cells and metabolize them thereby helping you to get leaner and increase your percentage of muscle to body fat. The second is via it's stimulation of another hormone in your body called Insulin Growth Factor 1. IGF-1 is a very powerful naturally occurring muscle builder in the body. Amp up those levels of HGH and you will get a parallel increase in IGF-1 as well. The combo is like a Georges St-Pierre knockout punch delivering maximum bang for the buck. One without the other is good (as a stiff left from MMA's best would be), but combine the two and your talking serious results! Third the HGH actually improves protein synthesis. Well...we know that new muscle is made of protein right? Well, if you can get your body to become more efficient at putting those protein parts together (amino acids) then you can help it to lay down all new inches of the strong stuff! So you can see....the hormone is important if you want to add some lean athletic muscle to your frame quickly. BUT there's no reason to have to follow your favorite athlete to BALCO or shady Canadian doctors to increase your levels of this natural power booster. NOPE, instead all you need to do is make sure you incorporate 4 MUST-DO HGH BUILDER EXERCISES in your workouts. So without further ado, let's look at what these are! 1. Bent Over Rows - Funny how the exercises most guys hate to do are the ones that are going to be the best natural HGH boosters huh? But it's true. This pulling exercise puts the legs, low back, core, lats, rhomboids, rear delts and biceps on immediate overload. 2. Hang Cleans - Want explosive muscle growth? Then you need to incorporate explosive exercises into your workout and there is none better than the Hang Clean. From the toes to the top of the head, virtually every muscle is incorporated into this exercise from the ground up and it's no reason why this one can send your HGH levels in the same direction....UP! 3. Deadlifts - Want all the benefits of the squat without having to load up the spine and risk long term low back pain in the process? Then make the switch to the deadlift and see how quickly you can not only round out those tree trunks but actually get the rest of your body growing as well with the increased levels of free floating HGH you'll have as a result of doing this exercise. 4. Pullups - Finally, you know that know Growth Hormone Boosting list would be complete without this "mother of all upper body exercises". The pullup is quite possibly one of the greatest mass developers of all time. Rumor has it that the cavemen used to do these hanging off the tusks of wooly mammoths....but I'm not really sure about that! The point is that it is still the undisputed champ of muscle building exercises and one of my HGH Releasing Quartet! So, there you have it. No need to shy away from the word (or the letters!). It's ok, it's natural and it's in EVERYBODY! BUT, how you can get your own body to release more of it so you can accelerate your gains is what's important. Start incorporating the "BIG 4? into your workouts and you'll go a long way towards.